The Lion King was a defining moment in my childhood, and if you were a kid in the ’90s, it probably was in yours as well. I think people who were parents of young children in the ’90s also have a very special place in their hearts for this film. I am so excited for the new live-action remake, but that doesn’t come out for a while. So while you’re waiting, why not get caught up on a bunch of wild facts about the original animated motion picture? It looks like someone at Disney thought this was a great idea. 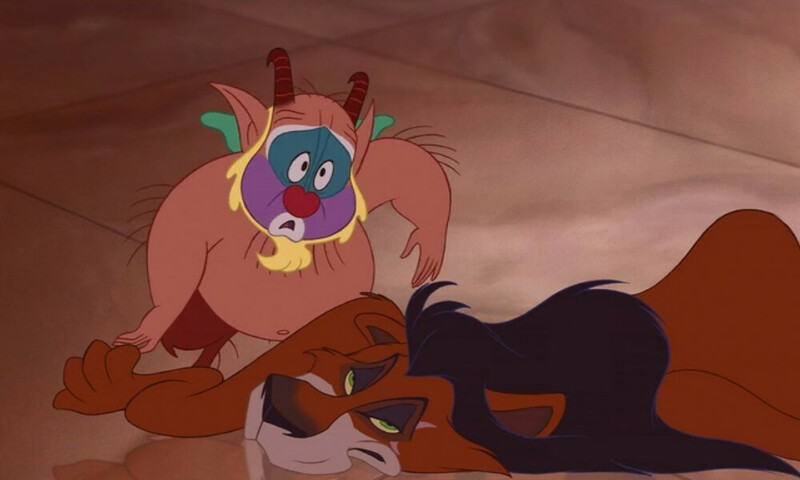 In 1997’s Hercules, Scar makes a not-so-subtle cameo in the form of a throw rug. 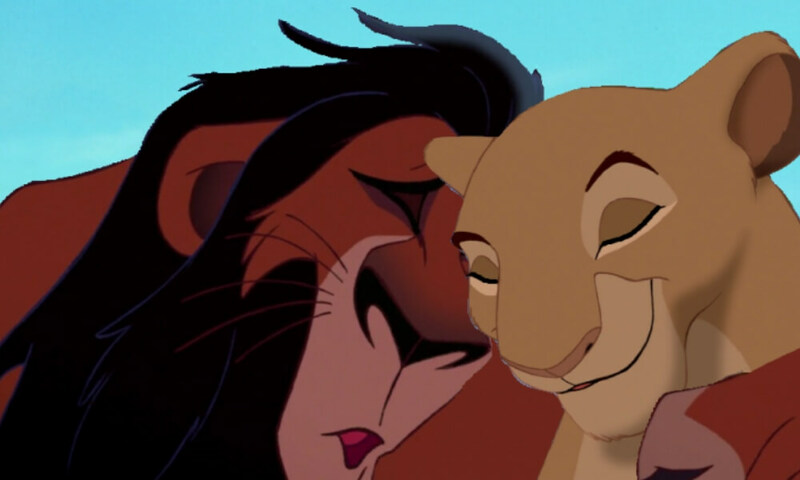 When the creators of The Lion King were first developing the script, they were going to have Scar banish Nala from Pride Rock for ignoring his romantic advance. She was going to leave Pride Rock and discover Simba, Timon, and Pumba. Disney abandon this storyline to make the movie more kid-friendly. When casting directors were first thinking about who would voice the hyenas, they wanted to hire Cheech & Chong. Cheech accepted the role, but Tommy Chong was unavailable. 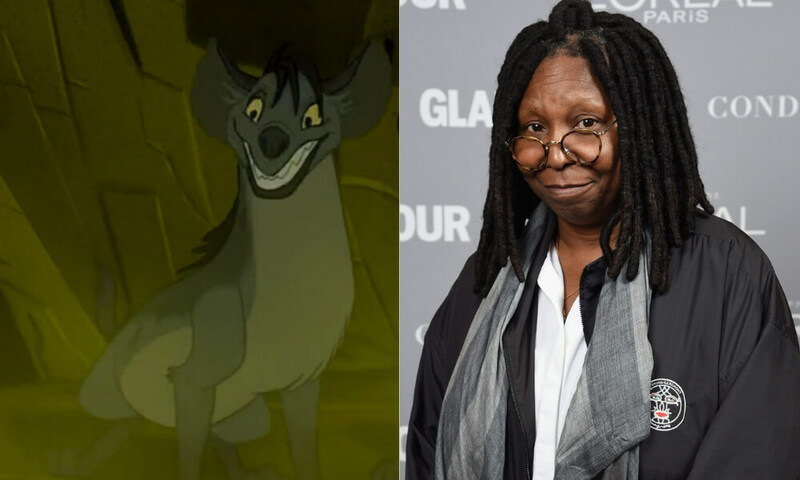 Tommy’s role was changed into a female hyena, Shenzi, who was voiced by Whoopi Goldberg. We think she did a pretty good job. Without that crescendo, the rest of his recording just didn’t sound powerful enough, so Jim stepped in to save the day. Even though the whole movie takes place in the Africa savannah, Rafiki is the only character in the film who has an African accent and speaks Swahili from time to time. All of the other characters are either American or British. Actually, only Scar is British, because evil characters are always British. During the scene where Simba gets pinned down by Nala, The voice actor who played young Simba, Jonathan Taylor Thomas, was actually smacked on the back to make it sound like he had the wind knocked out of him. He must not have been that good at acting like he got hit. In the scene where Mufasa tells Simba about the Great Kings of the Past, you can see Mickey Mouse if you look at the stars in the wide shot. The Disney animation team loves to hide little easter eggs like that in their films. Stay on the lookout for more of them. 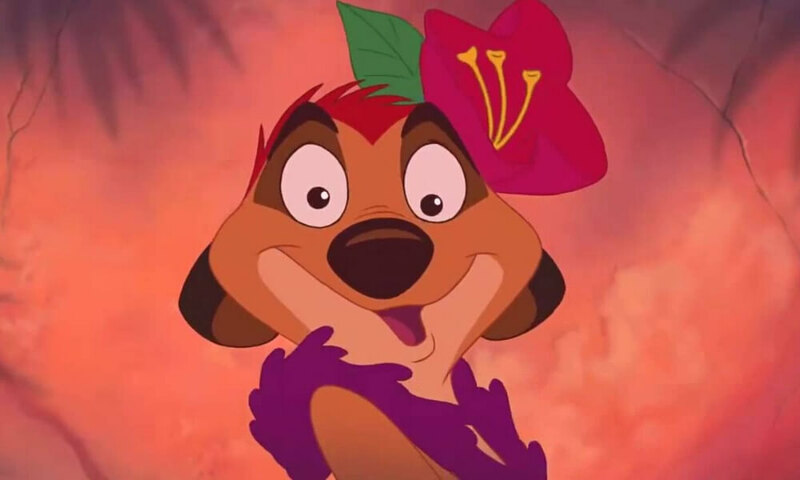 Nathan Lane, the iconic Broadway actor who voiced Timon in The Lion King, ad-libbed the line, “What do you want me to do, dress in drag and do the hula?” Yes, Nathan. That is precisely what we want you to do. 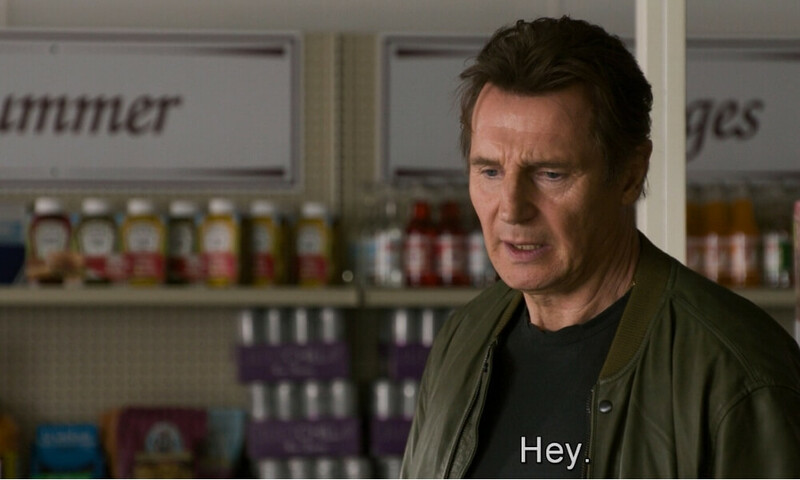 This might be my favorite scene in the whole movie. 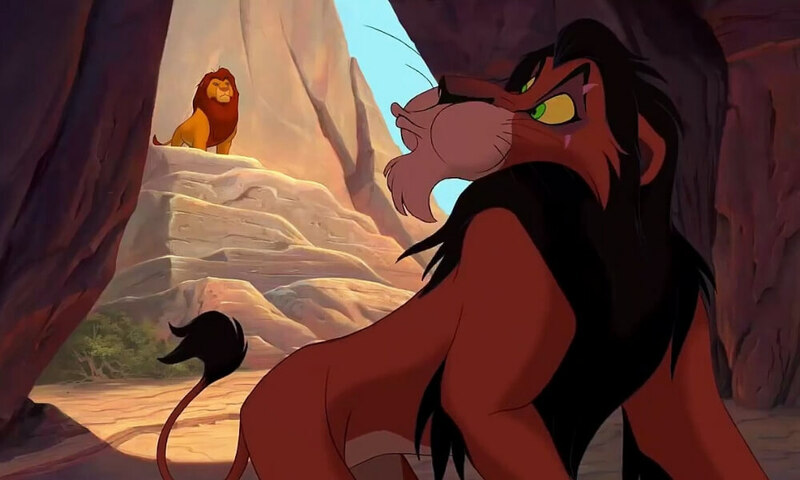 Liam Neeson was considered for the role of Mufasa before James Earl Jones accepted the part. I honestly cannot imagine anybody but James Earl Jones voicing Mufasa, and I’m so glad that they brought him back for the live action remake. The Lion King just wouldn’t be The Lion King without him. All of the lions in the original cartoon movie have their claws retracted for most of the film. Scar is the only character who has his claws out all the time. It’s almost like he’s incapable of retracting them. This lets audiences know that he’s always ready for a fight. Disney thought that the opening scene of The Lion King was so powerful that they decided to use it as the film’s trailer. This was the first time Disney ever chose to use an entire scene as a film trailer. The new live-action remake seems to be following suit. 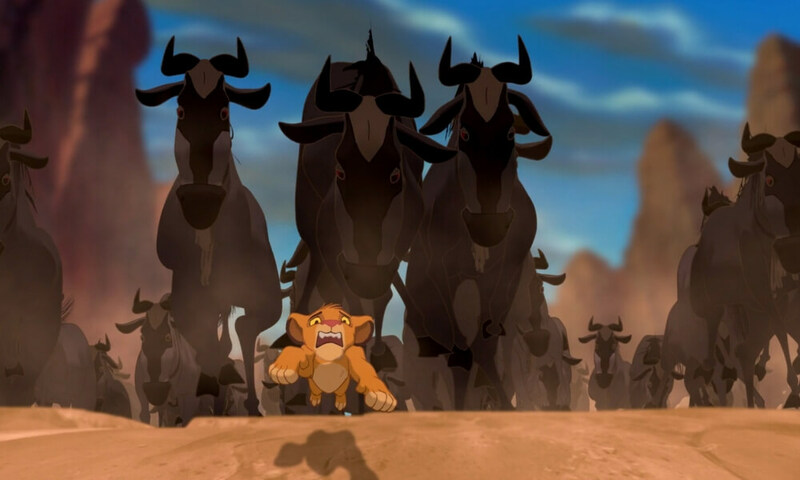 It took Disney’s CG department a whopping three years to animate the wildebeest scene in the film. They even had to create a whole new program to ensure the animals could run without bumping into each other. It is the first major moment in the movie that tugged at our heartstrings, so they had to make sure that it looked perfect. One of the original titles for the film was King of the Jungle until the good people at Disney figured out that lions don’t live in the jungle. Life must have been so difficult before Wikipedia. 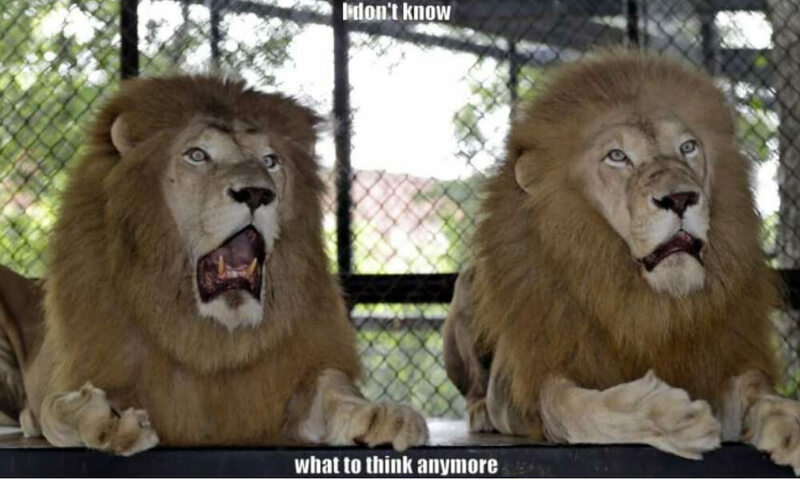 If lions aren’t the king of the jungle, who is the king of the jungle? 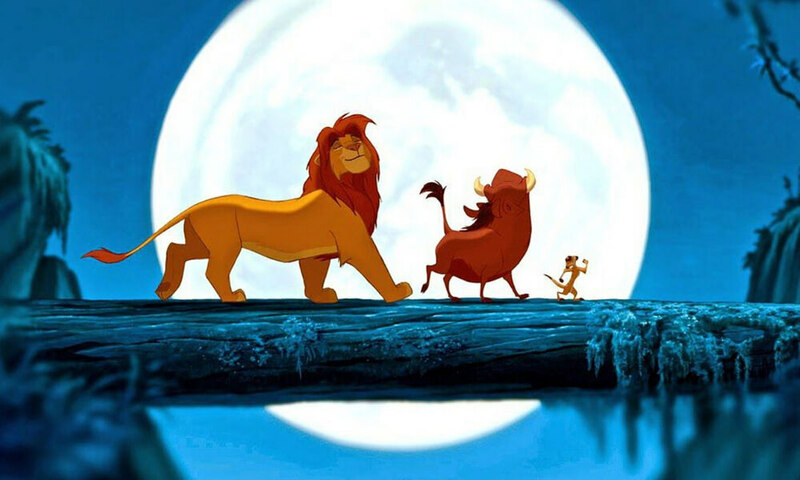 The Lion King was the first Disney venture to feature an original plot – as in not an adaptation. It had inspirations, as all stories do, but it was not directly linked to any other story. Previous Disney films like Snow White and Cinderella were direct retellings of classic fairy tales. Disney actually used their “B team” to make The Lion King, because their “A team” was busy making Pocahontas. 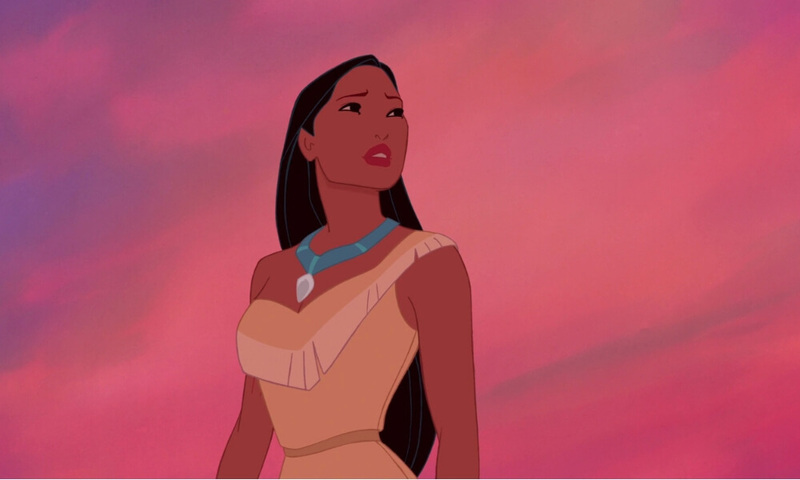 Disney thought that Pocahontas was going to be a more successful movie. As it turned out, the latter received very mixed reviews and it wasn’t nearly as profitable as The Lion King. 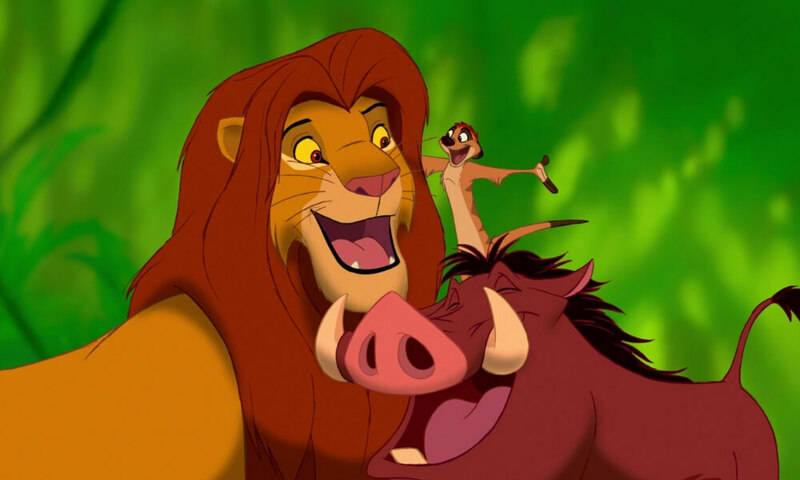 A song about bugs was a tough sell to the rest of the team, so they went with “Hakuna Matata” – which was based on a phrase Disney’s research team brought back from Africa. 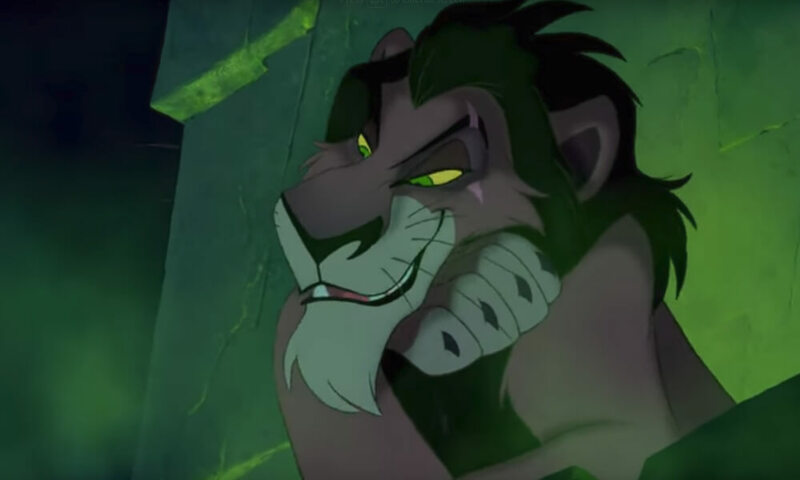 If there is one thing that The Lion King is actually based on, it’s Shakespeare’s play Hamlet. 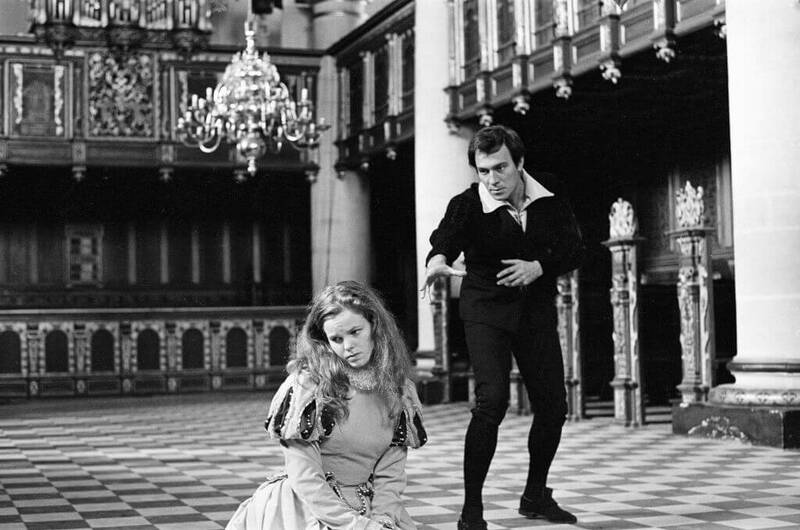 In Hamlet, a young prince finds out that his uncle murdered his father so that he could become king. He’s banished from his home, but then returns to avenge his father’s death. There’s way more death in Hamlet than in The Lion King. 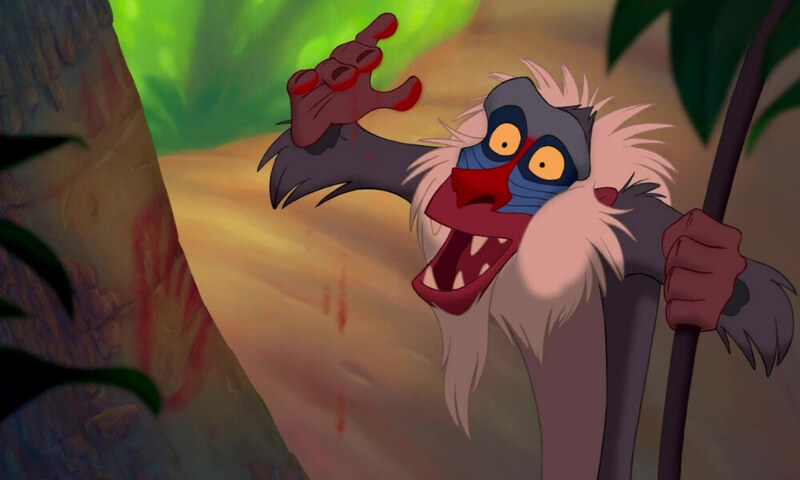 The character Rafiki is a bit of a cross between a mandrill and a baboon. 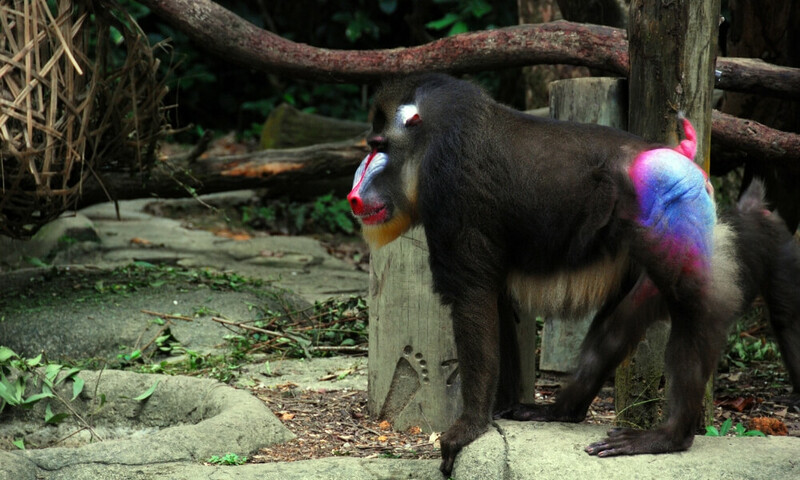 He’s more mandril than baboon except mandrills don’t have tails – this was a trait borrowed from the baboons by the Disney animators. The tail makes him look a bit lankier and more lively. 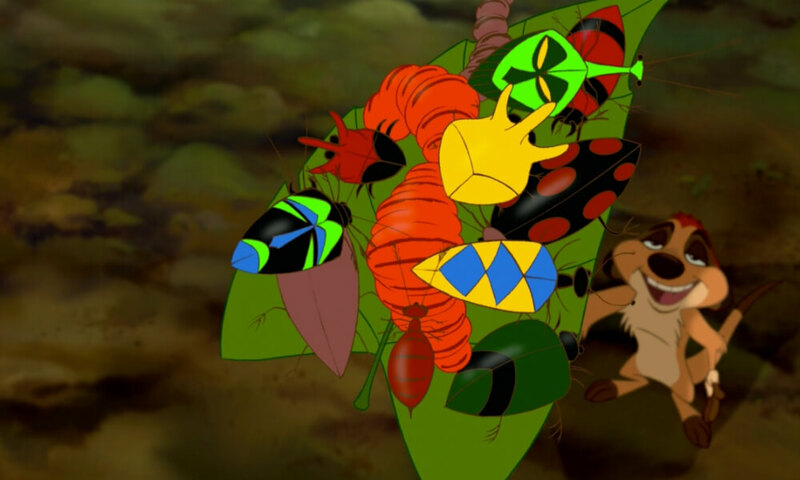 A yellow insect Timon finds under a log has Mickey ears on its back. I don’t think it’s the yellow insect pictured here, because this one looks more like a trident. I can still hear the sound of Timon slurping up that thick orange grub. 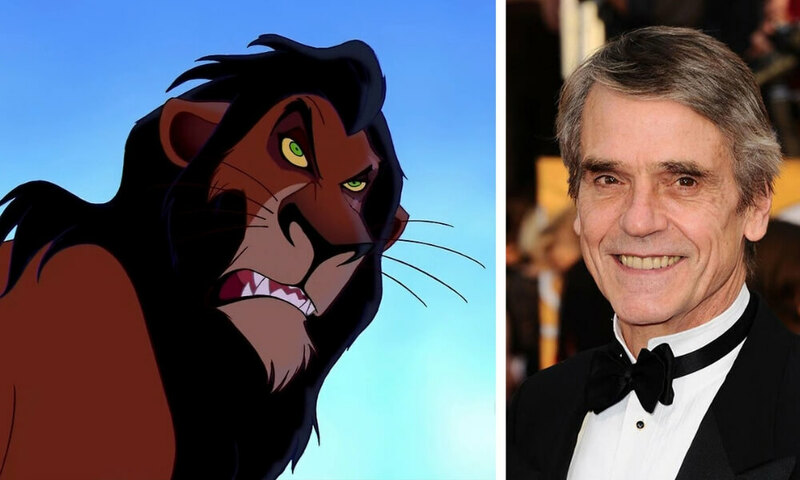 The Disney animators were so impressed with Jeremy Irons’ performance as Scar that they incorporated his facial features into the character’s design. Can you see the resemblance? I think Jeremy Irons doesn’t look quite as evil as Scar. He’d never kill to end up on the throne. 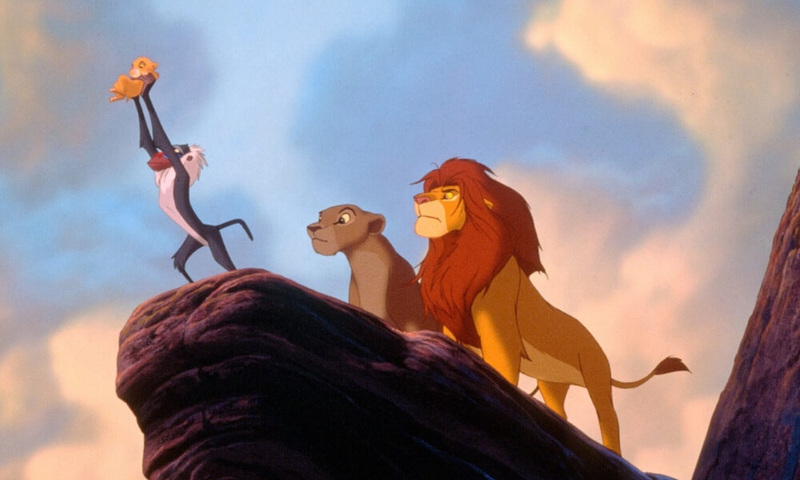 The Lion King is the first Disney film to be dubbed into Zulu for its release in Africa. It’s only appropriate since the film is set in Africa. I would love to hear “Hakuna Matata” sung entirely in Zulu. I think it would be a major jam. The ending of the movie was originally going to be much, much darker. 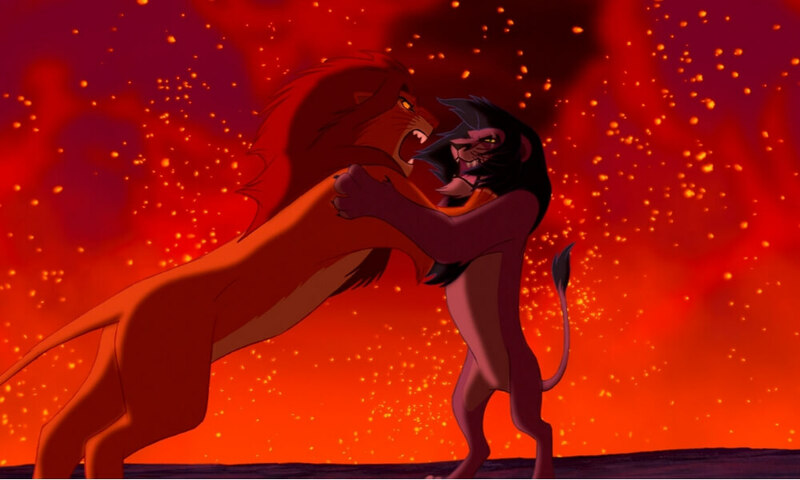 Simba was going to lose to Scar in the final battle, but then scar was going to die in the fire. That ending is definitely more Shakespearean, but I don’t think it’s very family-friendly. 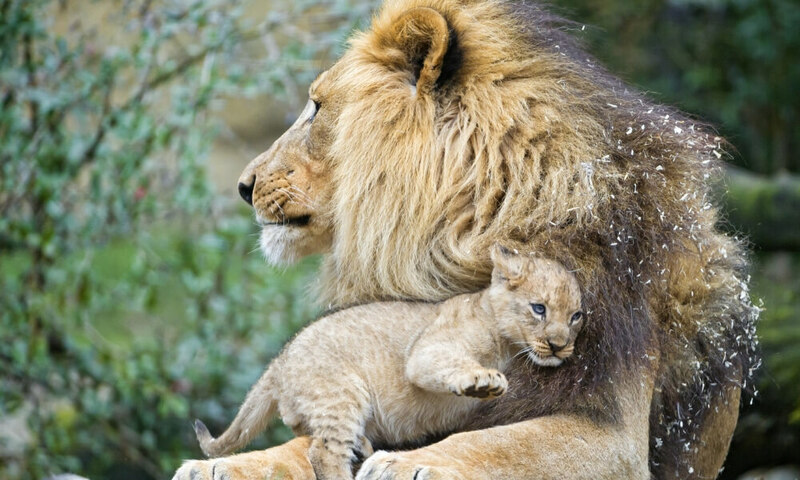 Scar and Mufasa weren’t always going to be brothers. 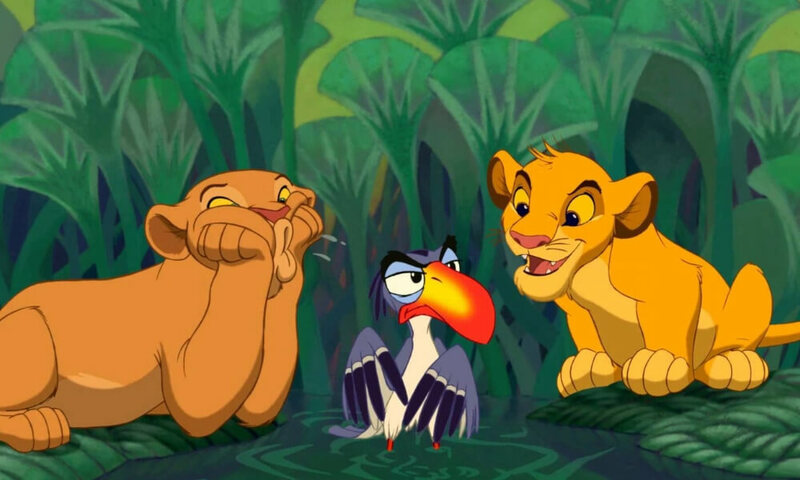 Originally, Disney planned on Scar’s character just being some outsider lion who came to stir things up. 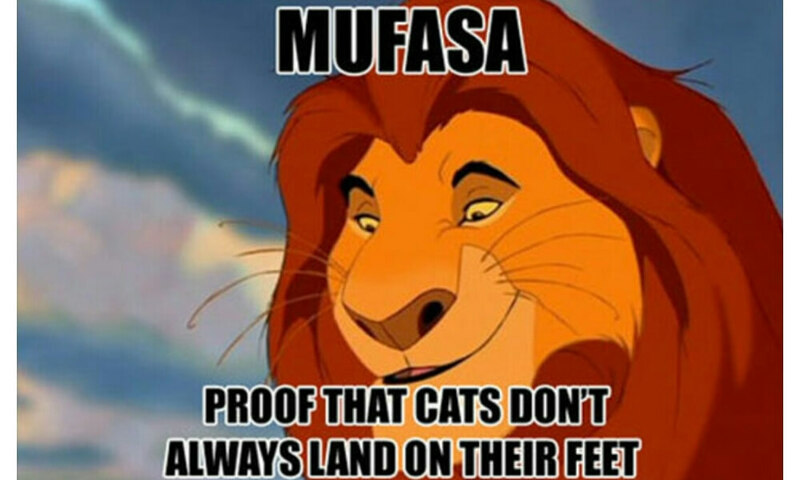 That’s why Scar and Mufasa don’t really look alike. They decided to make Scar Mufasa’s brother to follow the Hamlet story more closely. 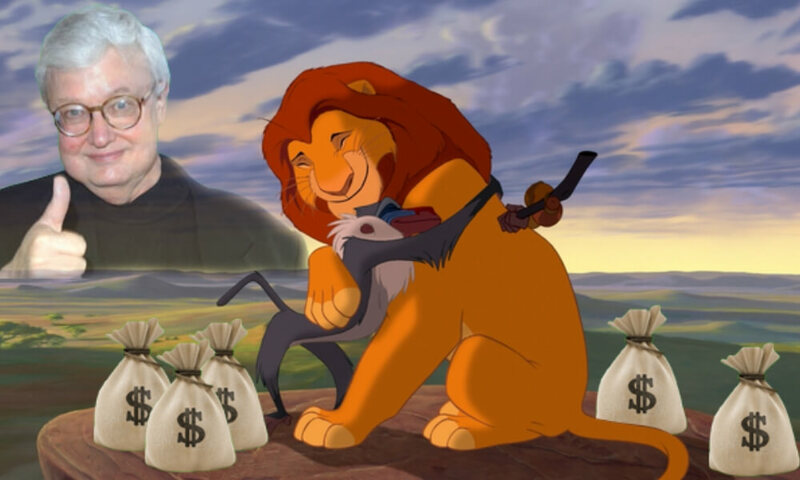 Disney reportedly made over $1 billion off The Lion King merchandise in 1994. Not too shabby! Can you imagine how much money this film would have made if it were released today? Well, we don’t have to wait much longer to find out, because the live-action remake of the movie is hitting theaters soon. 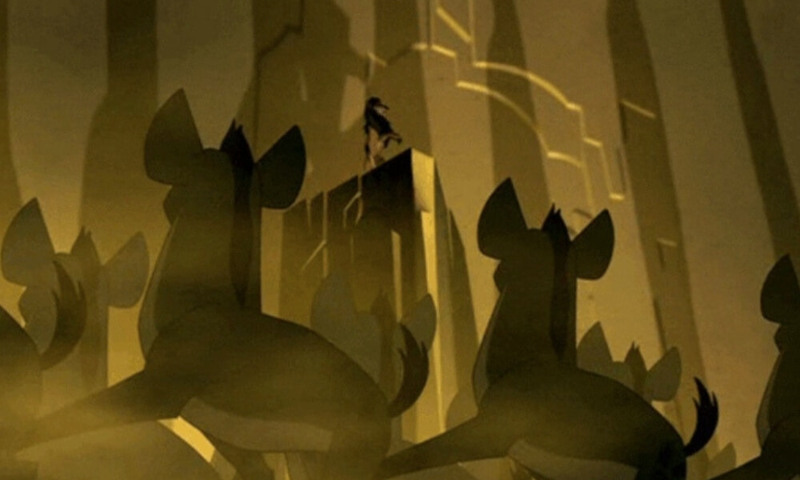 The scene with the hyenas marching past Scar on a rock during the “Be Prepared” song was inspired by footage of Nazis marching past Adolf Hitler. Scar might be evil, but he’s not Adolf Hitler evil. It’s a neat comparison though. It’s cool that the Disney animators are looking to history for inspiration. 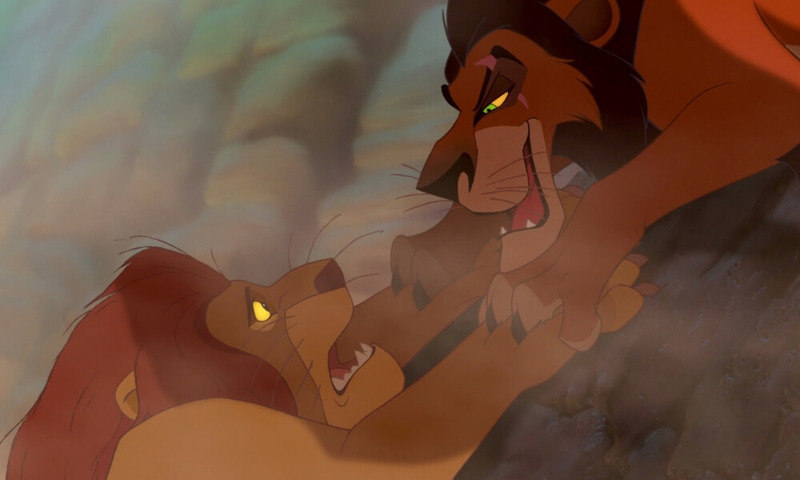 This is the only Disney film to show a villain (Scar, of course) committing murder. Usually, characters are killed or die off-screen. Is this scene triggering you in any way? Better grab your tissues for the live-action remake, because that movie is going to be a cry fest. Disney sent a team of animators to Africa to study lions and lion behavior before they really got to work drawing and animating. They even brought a lion cub to the studio so that animators could study it and draw it. It’s safe to say that Disney is super committed to accuracy. 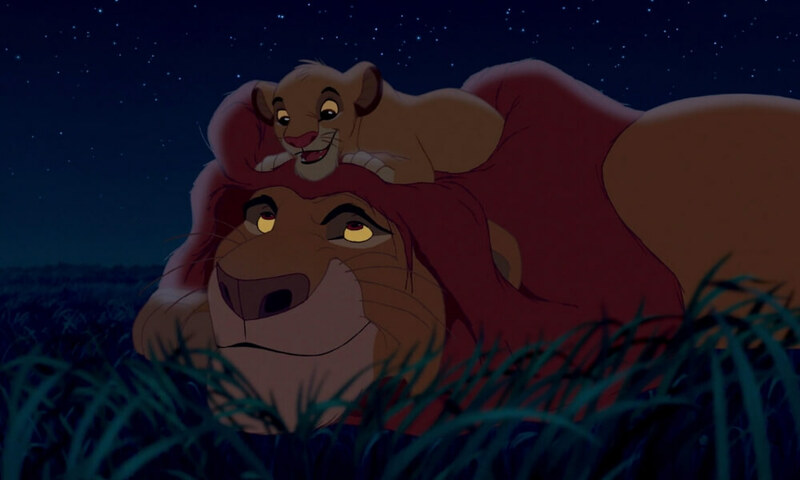 Originally, Mufasa was not supposed to return after his death, but Simba needed a reason to return to Pride Rock – hence the “apparition” of his father. 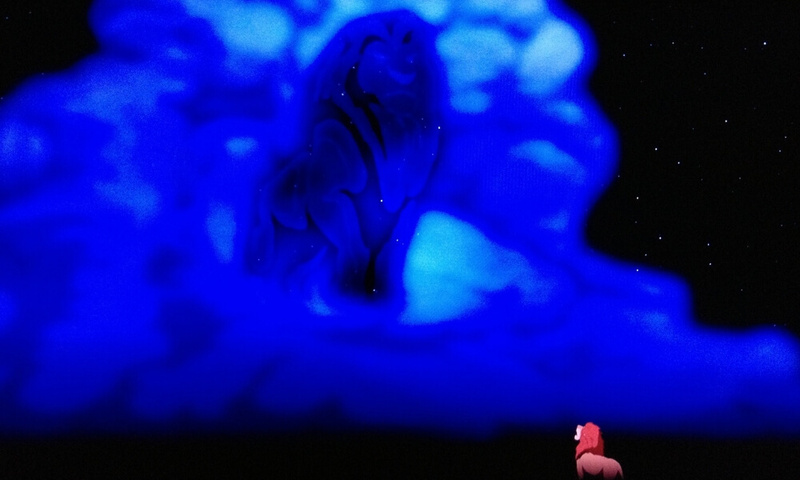 Also, there’s a ghost of the king in Hamlet, so it’s only fitting that there would be a ghostly image of the king in The Lion King. 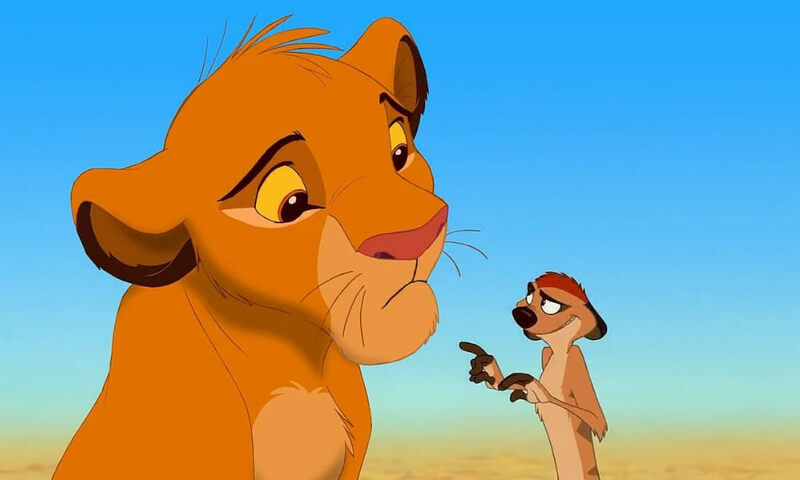 Even though Simba and Timon were in a whole bunch of scenes together, Matthew Broderick (the voice of Simba) and Nathan Lane (the voice of Timon) only saw each other once during the entire production of the film. It was in the hall of the studio. The actors recorded their voices separately. 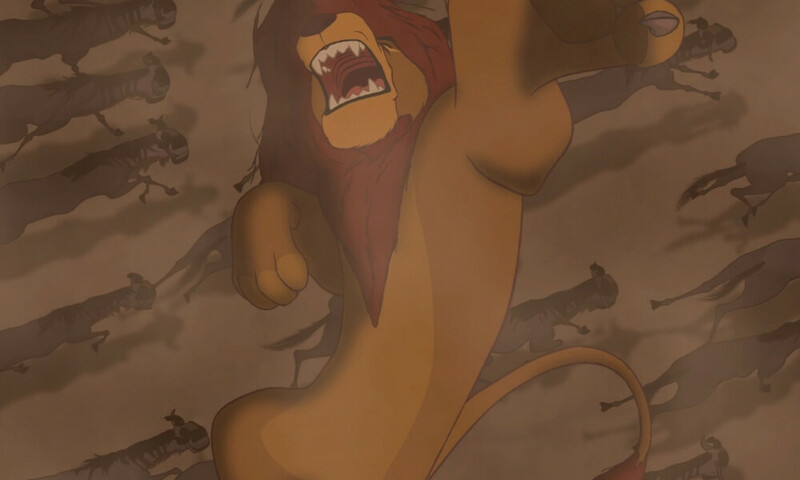 Mufasa’s death is obviously a very intense scene to watch as a child. It’s probably the most traumatic moment in the entire Disney canon. Believe it or not, the death scene was originally even sadder. Editors had to tone it down after a test audience of kids cried uncontrollably at the original version.